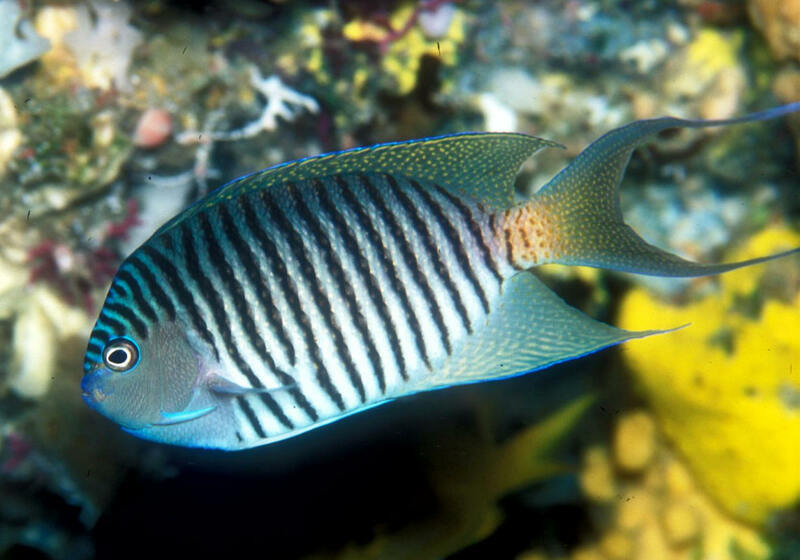 Genicanthus melanospilos (Bleeker 1857), the Black-Spot Angelfish (2). 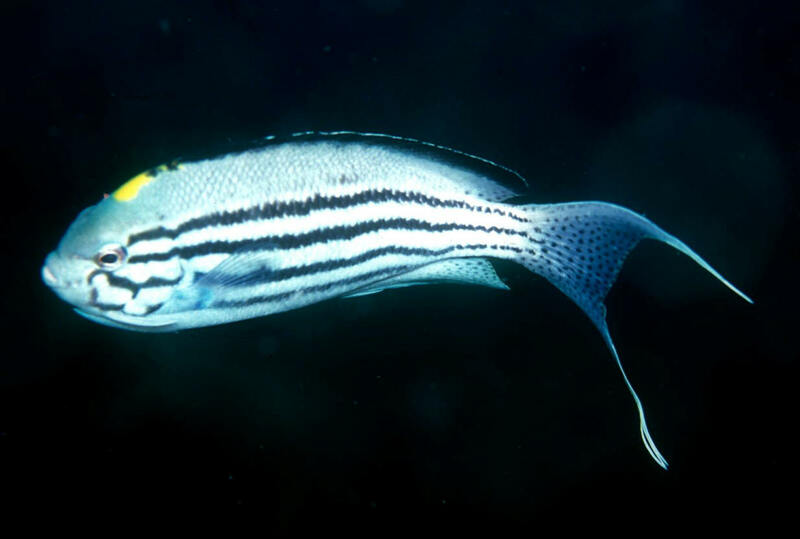 Similar to G. caudovittatus to the west, this species is found throughout the tropical western Pacific. Also to about six inches long. Male in Fiji. 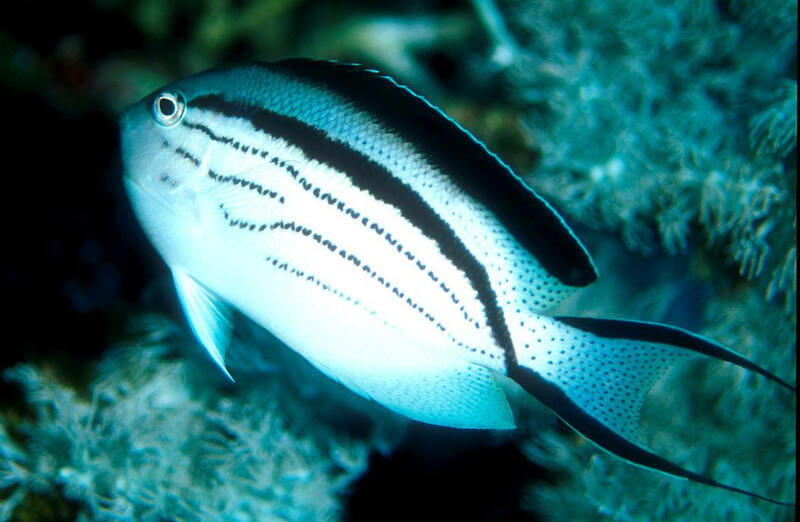 Genicanthus melanospilos (Bleeker 1857), the Black-Spot Angelfish (2). 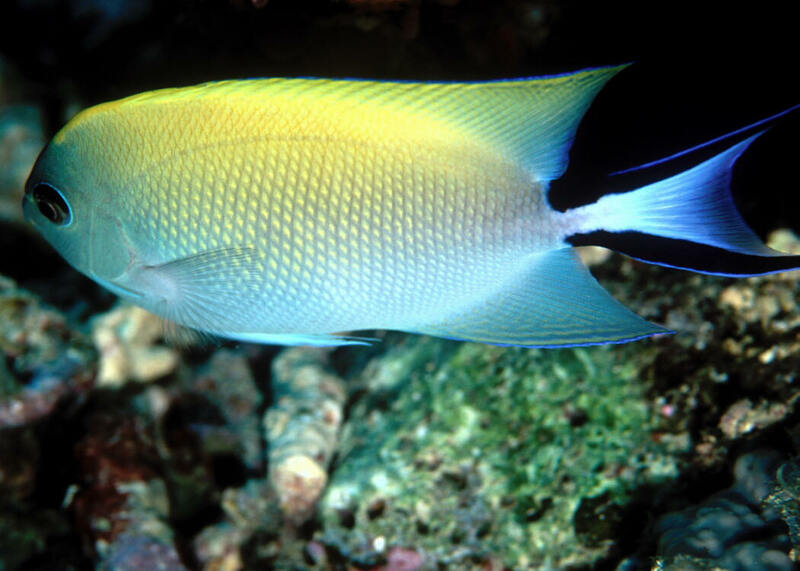 Similar to G. caudovittatus to the west, this species is found throughout the tropical western Pacific. Also to about six inches long. Female in Fiji.